We just received an amazing and long awaited shipment from Serendipity Designs by Susan. 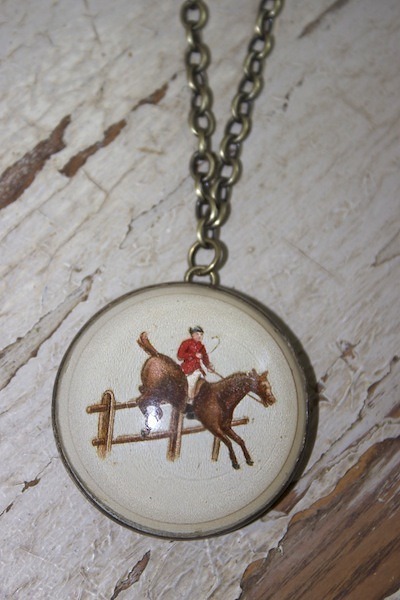 These are hand made Horse Bridle Rosette necklaces with a brass or base metal back with a domed glass that shelters motives of plants, nature and anmials. Each item is unique and crafted by hand, no two alike. It has been written that the rosettes originated in ancient Egypt. The Egyptians, being superstitious, decorated their brides in order to direct the “evil eye” to the beautiful bridle rosettes in order to spare their horses from harm. That superstition continued into the Victorian era. Rosettes were produced from the 1800’s to about the 1950’s. 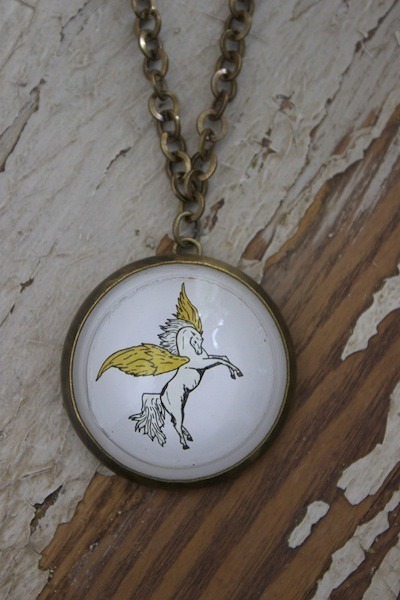 They were often used to decorate a child or woman’s horse bridle. They were also used by the U.S. Cavalry in simpler forms made of backlite or silver and by some companies as an advertising tool. 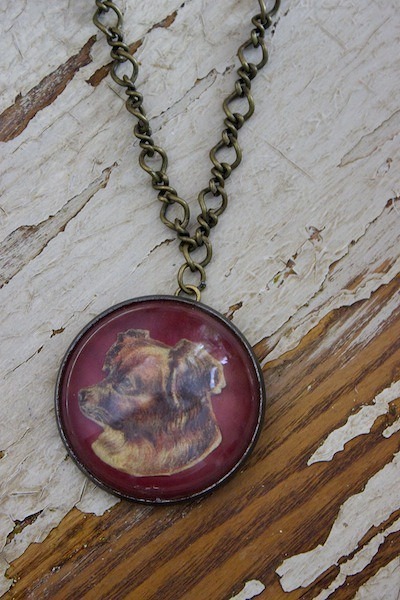 The rosette is domed glass, or paperweight style, with a brass or base metal back and is 75 to 100 pluss years old. These are the gems in our inventory and we invite you to stop by to check out Horse Bridle Rosettes section at PB&J Boutique.